If you stay on the path that's set out before you, you'll never see anything new. If you want to make discoveries and have adventures, you've got to go off the beaten path. 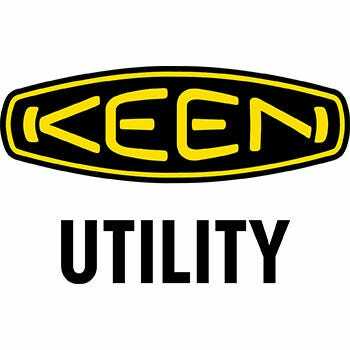 When you do, make sure you're wearing the men's KEEN Utility 1007970 steel toe Flint Low hik ... (see full details) (see specifications) #KEN1007970. If you stay on the path that's set out before you, you'll never see anything new. If you want to make discoveries and have adventures, you've got to go off the beaten path. When you do, make sure you're wearing the men's KEEN Utility 1007970 steel toe Flint Low hiking shoes. Tough and comfortable, these KEEN Utility shoes keep your feet protected, whether you're roaming the woods or working at the factory. This athletic footwear is designed with low-cut brown leather uppers. Orange and black accents detail the handsome design. The soft leather is flexible and touchably comfortable. It's manufactured with Nubuck, which feels like suede. However, Nubuck performs like full-grain leather, resisting wear and tear. In addition, the leather on the steel toe shoes is also water-resistant and ready to face the challenges of the day. Designed in a left and right asymmetrical design, the steel toes meet ASTM F2412-11 standards for compression- and impact-resistance. The rugged soles are tested for resistance to electrical hazards, absorbing dangerous electricity because your body can't. The dual-density footbeds are crafted with two-layer construction. That's two layers of soft EVA foam comfort, in a removable design that's easy to clean. The midsoles of the men's shoes are manufactured with compression molded dual-density construction to give you two more layers of EVA foam softness. In addition, the non-marking, shock-resistant rubber soles are constructed with contoured heel locks and slip-resistant tread to keep your steps steady. Oil-resistance protects the tread of these KEEN Utility brown shoes from corrosive chemicals. So try out a pair of these men's KEEN Utility 1007970 steel toe Flint shoes because they are ready to face whatever your day holds. 14 out of 16 people found this product review helpful. These are a pair of very good hiking shoes that can be used for many different uses. I use these shoes during landscaping in dirt and gardens and so far they have been a wonderful product. They are extremely comfortable and offer full waterproof protection. They are also extremely light. I have been hiking and walking with these shoes and so far they are great. However, I'm not too sure how they would hold up backpacking or in more different terrain and conditions. In conclusion, these Keen shoes are a very good looking pair of shoes I'd recommend to anyone. I am always skeptical of spending so much on work shoes, but lets be honest....I am in my work shoes more than any other pair of shoes I own. These have been, BY FAR, the most comfortable pair of shoes...let alone work shoes...that I have ever owned. I am walking around on concrete all day...every day...inside, outside, it doesn't matter! I am yet to go home with that, "can't wait to get these shoes off" feeling. I will definately buy another pair when these wear out! I was looking for steel toe shoes with the comfort of athletic shoes. These shoes are it! They run true to size and are very comfortable. This is my first pair of Keen shoes, and I will purchase Keen again. Lighter than the horrible 9" NWU boots now required and more comfortable. They look like normal low cut light hiking shoes. Laces are strong and comfortable with a good lacing pattern over the metatarsels. The toe is a little heavy, but not uncomfortably so. We'll see how they wear at work. These shoes are very comfortable and fit perfectly. There was no break in time and they keep my feet cool all day long. I wear them to work for my construction business and love the way they feel. I really like the way they look and wear them for everyday use outside of work too. I would recommend them to anyone looking for a lightweight steel toe shoe that is very comfortable. Your website has some really great features, like the different views available on the boots. Very helpful to really see exactly how they're made and look. KEEN Utility 1007970 Men's Flint Steel Toe Hiking Shoes is being added to your cart.